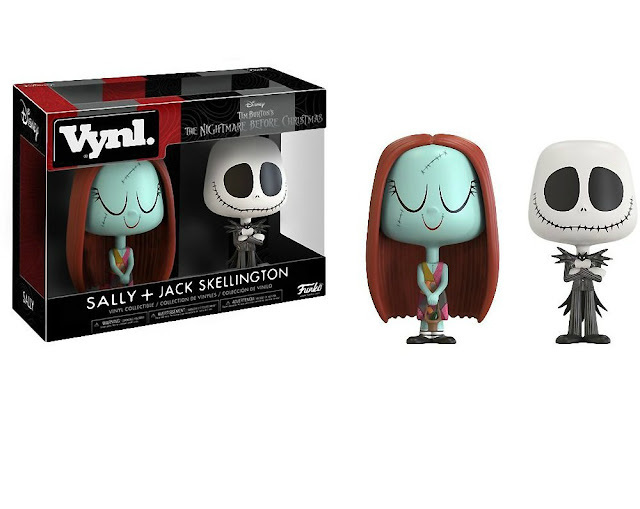 New from Funko: Nightmare Before Christmas Vynl figures. They're so... weird.. and cute.. and bizarre! Funko explains that there's no I in Vynl because "there's always two of them" and describes Vynl figures as aiming "to utilize thoughtful and imaginative design to elaborate on the emotional bonds between some of the most cherished characters in pop culture." Can't wait to see which figures they come out with for their new Vynl line! Read more about the new Vynl line on Funko's blog. Meanwhile, Jack Skellington and Sally Vynl toys might have to make an appearance in some of my friends' Halloween stockings this year!